Steps from the lake with amazing lake views, kitty corner from Sunrise Park! 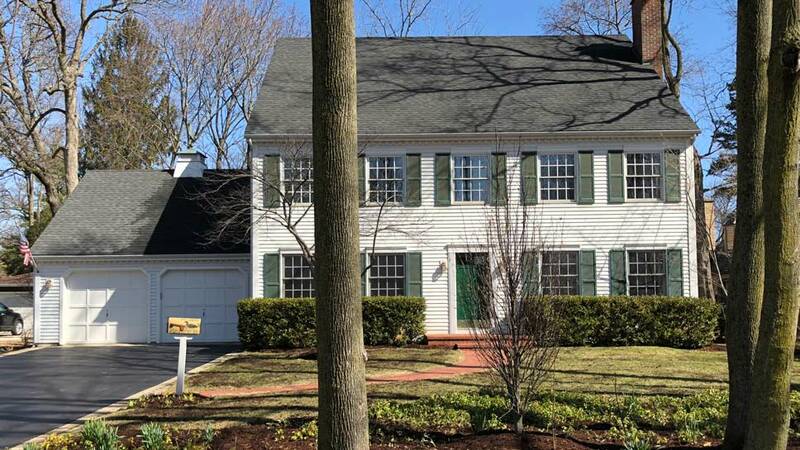 Built by the current owners in 1990 & meticulously maintained, this home is in Lake Bluff’s historic lakefront neighborhood. It offers large rooms w/an appealing open floor plan that makes efficient use of the 1st & 2nd floor, w/an attached 2 car garage & finished bsmt. Features include hardwood floors thruout the entire home, large windows providing plentiful light & newer appliances, quartz counter tops & backsplash in the kitchen. The master bedroom has incredible space & views of the lake.The secondary bedrms are large w/nice closet space & great views of the lake or neighborhood. The laundry room is conveniently located on the 2nd flr w/pull-down stairs leading to a huge third story w/a high-pitched roof, designed for potential added living area, provided approval from village is attained. Enjoy gorgeous grounds w/perennial gardens & a bluestone patio off of the family room. A spectacular location, wonderful home!